How much is Kevin Kisner Worth? 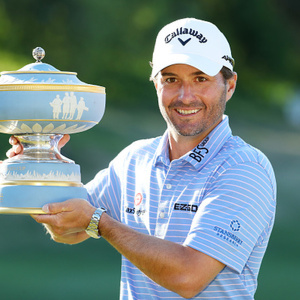 Kevin Kisner net worth, salary and career earnings: Kevin Kisner is an American professional golfer who has a net worth of $9 million. 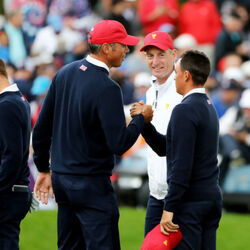 Kevin Kisner was born in Aiken, South Carolina in February 1984. He played for the University of Georgia and turned professional in 2006. Kisner has played on the PGA Tour and the Web.com Tour. He has nine professional wins including three on the PGA Tour and two on the Web.com Tour. Kevin Kisner tied for 2nd at the 2018 The Open Championship and tied for 7th at the 2017 PGA Championship. His PGA Tour wins came in 2015 at the RSM Classic, 2017 at the Dean & DeLuca Invitational, and 2019 at the WGC-Dell Technologies Match Play. Kevin Kisner's Web.com Tour wins came at the Mylan Classic in 2010 and at the Chile Classic in 2013. He has also won the Tarheel Tour Match Play in 2007, Bermuda Run Open and Savannah Lakes Resort Classic in 2008, and Callaway Pebble Beach Invitational in 2013.